There was a deep irony previously overlooked in our earlier reporting on democracy's last frontier. People regardless of economic circumstance may have the same access to sunshine, which warms the spirit and soul. But everything is not equal once the sun goes down. About two billion people worldwide go without an affordable access to light. It has a crushing effect on the ability to live everyday. Children can't study at night, women are less safe outside, people are hindered getting to hospital. Even something as important as home child-birth is harder. Thanks to the dedication of Mark Bent this is changing. He has created an ingenious method that uses solar energy to power flashlights and torches. His invention gives up to seven hours of light on a daily solar recharge and can last nearly three years between replacements of three AA batteries costing 80 cents. Each year in the US alone, billions of batteries end up in landfills, because the productive life is so short. Thank you Mr, Bent for all your efforts and your inventiveness as a force for good. You've taken the idea of sunshine being the last frontier of democracy from the day into the night. For that, we applaud you too. As with reading, we’re all aware of a kind of ‘voice’ in our minds which is how we are aware of our thoughts. Sometimes it is as if we actually ‘hear’ the words spoken in a literal sentence form, while at others it’s a cognitive state of mind that emerges and crystallizes in the moment. Reflect upon last 24 hours. Through your journey from stepping out of bed, the morning wash and dress routine, the hours you spent engaged in industry, the commute home, the arrival and passing of dinner and retiring to bed: several thoughts came into your mind during that time. But how many did you actually choose to think and how just many appeared in your mind beyond your will? Your thoughts might have seemed deliberate and connected in a direct way to your own personal life, such as musing while passing a grocery store on the ride home “What am I going to have for dinner tonight?” Especially in situations where there is no evidence of context and it seems to happen spontaneously, the question of control or influence in the emergence of a thought is a perplexing one. Can we reasonably claim to be in control of what we think if the emergence of a thought it beyond our control? One we’ve had a thought, are we any more in control of what happens with it? 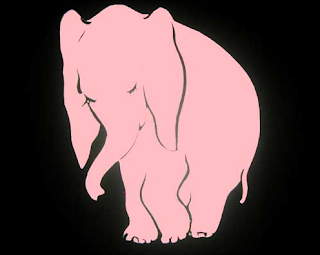 Can we choose deliberately not to think about something like a pink elephant and shut it out of our mind? Can we stop a thought once banished from returning? If so, why is it that some have an orbital trajectory, cycling into our awareness persistently over a matter of minutes, or days, or weeks, or years? One of the few times that we deliberately seek to exercise control over our thoughts happens while in a meditative state, or an activity inducing one such as Yoga. But even here at a time when the consciousness is being purposefully channeled in a specific way, the deliberate focus on specific thoughts or senses is usually not our own, but being guided by an expert, or advice. There is no conspiracy theory lurking here. Psychologists would contend that we are the originators of much of our thinking even though it may be beyond our direct control or access. That the magnificent machinery operating in the expansive reaches of the subconscious is the forge. And the gifts of everyday existence are the thoughts that break the surface and appear in our mind, often unannounced. Does it matter that there is so little awareness and interest in control of the emergence or existence of thoughts in our minds? We are living in an age of fear and illusion. Fear because our mortal vulnerability and the deep appreciation of the scarcity of time we have to live have been dramatically heightened in the ‘public mind’ from events in the last 6 years. Illusion because our attempts to cope have come in the form of false belief in control. 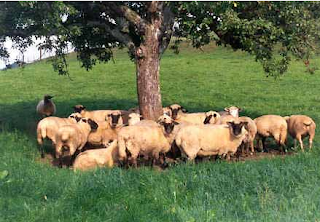 A tremendous industry – both businesses and our own duplicitous cooperation – has sprung up to feed this beckoning call. * The ubiquity of the internet which allows us unprecedented reach to manage the many areas of our lives. These ‘tools’ foster the sense not just that we are can influence but control the direction of our day, the situations we find ourselves in. It makes us feel good but that it missing the point. The fact that it is not working is becoming increasingly evident through the dysfunction that occurs when people find themselves not in control. How quickly people lose their composure nad become hostile is only one expression. In airports, on aeroplanes, in cars, in hotels, In fact, any place where our day and time is not unfolding how we think it should and we are unable to direct it otherwise. With all this abundant focus outward on mastering all we survey, OFD suggests that greater success lies – where it does with happiness – which is through an inward journey, of understanding, development and progress. Jung and Csikszentmihalyi are in agreement on this matter. The closing line of Gone With The Wind is an apt sentiment. Frankly, society doesn’t give a damn. It requires too much effort of the wrong kind where the result does not meet our instant gratification craving. We our indifferent to the one true and sustainable domain we have an opportunity to guide: control over internal phenomena rather than external ones. Field research this week took the form of exploring the content of fridges belonging to a random sample of people willing to allow OFD researchers to look inside without a warrant. We made an alarming discovery, particularly regarding condiments. There was an incredibly high occurence not only of same kinds of condiments, but brands too. It got us hungry and got us thinking. About not thinking. This is exactly the problem in the marketing, branding and advertising world today. Everybody's reading the same thing. The same blogs. The same books. Recommended by the same sources. No wonder there is a dearth of creativity across our fields. We've not dumbed ourselves down, we've numbed ourselves through collective consensus exposure. We've been too willing to idolatrize writers like Russel Davis, Malcolm Gladwell, David Droga. The sycophantic agreement needs to stop and more discriminating thinking needs to begin. But it won't happen when we're all reading the same material. Participation culture expects more than merely voicing opinions on others people's opinions. It means coming up with you own thinking. Original ideas. Are you up for it? Many discussions about brands these days often seem to have much less focus than they should. Perhaps it is the variety of mediums across which branding is expressed (product form, packaging, display, positioning, communications etc.). Perhaps it's because it has become fashionable for brand identities to have so many moving parts (personality, characteristics, essence, point of view, visual identity and more). It was refreshing therefore to come across a business whose entire branding - and its core reason for being - was captured in its name. It is in the aptly name Tenderloin district beside the Gentleman's club called Market Street Theater (both whose name and euphemism are an oxymoron) that one encounters the AIDA hotel. It refers to the four basic stages or conditions that a person goes through from initial encounter to making a sale. The acronym Attention, Interest, Desire, Action has long been used by salespeople to help their craft: understanding the basic nature and sequence of growing involvement helps salespeople actively guide their prospect along it. 'Location location location' is a maxim often heard in the retail business: whether to banks or chains of coffee stores, being in prime places where people are when their needs strike is the name of the game. The Aida Hotel recognizes this applies to success of a busines serving the satiation of needs of a carnal nature too. Customers of the Market Street theater are no doubt propelled through the first three stages of the involvement model which renders the final stage an act of completion, in more ways than one. A particular kind of street vendor understands this too, and the AIDA hotel provides an ideal venue for the occasion. In a time when brands and their management can become over-thought and over-wrought, The AIDA hotel is a shining example of clear focus and potent simplicity. He sat waiting, his outward demeanor not betraying his smug state of mind. He held a singular purpose for today's meeting: to give his subject enough rope to hang himself. His opening serve was an expertly dispatched invitation for his opponent to self-incriminate. The return was so gracefully returned that he suspected it was a genuine rather than intentional deflection. He relished vanquishing his adversary all the more for the naivety he had shown. Relentlessly he pursued and from multiple positions he sought entrapment. But the target of the deception was not obliging. He toyed with him back and forth for two hours sure that if not his will his temptation to fall for ever more appetizing bait would be forthcoming. But it was not to be. He was never to know that it was at breaking point not 10 minutes from the conclusion of their time that he turned and headed back to the mainland, convinced that his subject was true to his intent and purpose and so began the steady path of reconciliation that conceded no ground yet sought to affirm their union and commitment towards a shared end. We live in an age when even greater interconnectedness is inevitable. 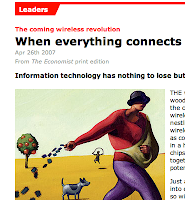 The cover story of last week's Economist covers this very topic from the standpoint of wireless technology. There seems no province of our lives exempt from its influence. The consequence are very different however. While world and economies and financial markets are impacted in a matter of hours or days what has come to light in the disturbing developments this week is just how tragic the effects are when the vulnerabilities of interconnectedness take weeks and months to come to light. The FDA recently banned imports of Chinese made wheat gluten after it was linked to pet deaths in the US. This problem is not new. Fifteen years ago, investigators found poison in seven brands of fever medication, which only came to light after a pediatrician smuggled samples of tainted syrup out of the country. Countless children died before the authorities acted. Toxic contamination of syrup also caused mass poisonings in Haiti, Argentina, Nigeria and twice in India. Panama is the most recent victim where 260,000 bottles of cold medicine were mixed with diethylene glycol causing 100 confirmed deaths and another suspected 265. The connectedness came through a distribution pipeline stretching half-way around the world. Forty-six barrels of the toxic syrup went from the Panamanian port of Colón, back through trading companies in Barcelona, Spain, and Beijing, to its beginning near the Yangtze Delta in a place local people call “chemical country.” Panama’s death toll leads directly to Chinese companies that made and exported the poison as 99.5 percent pure glycerin. Today OFD speaks out in praise of slowness. It is not to advocate reversing or diminishing the inevitable trend towards even greater interconnectedness. It is to responsibly recognize that the perils of negligence or profiteering from international trade dramatically increases our very real and tragic vulnerability. One simple tenet of branding: you are the company you keep. Whether that's the retailers your product or service are sold through, the kind of people that epitomize your brand target, or the other brands that you join in partnership with, this cohort communicates a lot about your brand. It can be a virtuous arrangement. Take the Tumi-Ducati alliance. The character of both brands is similar. Both are high-end and so premium that each has a luxury halo. Both are extremely well made. But the heart of the union is their performance caliber, both in rugged utility and styling. 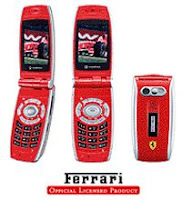 But Ferrari's track record in extending it's brand into new territories does not seem so wise. In fact, the effect upon its brand could be detrimental. 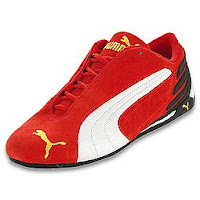 The last three years has seen a slew of product partnerships in which the Ferrari logo has adorned sneakers, (Puma) mobile phones (Sharp) laptop computers (Acer) and cameras (Olympus). The two acid tests of a good brand marriage fail for most of these products. 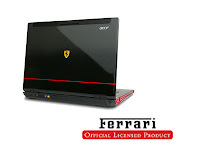 Especially in the case of Acer, Sharp and Olympus, these are not ultra premium brands like Ferrari. The caliber of the two brands are fundamentally at odds. 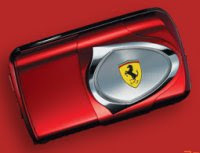 Ferrari's reputation will be tarnished when these products fail, which for some they surely will do. The second test - similar brand targets - is also at odds. A user of these co-branded products is making a statement of aspiration for what is hopelessly unattainable. The only way they can get into the Ferrari franchise is through the back door, with some low-end product they can afford. Back to the Tumi example. The reason why its brand partnership works is precicely because the type of consumer for both products is very similar. Anyone with $800 to part with for a single piece of luggage will also have the discretionary income to buy a high-end motorcycle should they wish to. A world-class brand like Ferrari should know better. In attempting to extending the reaches and visibility of its enviable brand, it is the view of OFD that they are using the wrong strategy. Indeed, better to avoid cheapening the brand through low-end cross marketing and instead choose partners that reinforce the caliber and authenticity of the brand. How about creating a driving school as BMW has done with Skip Barber? Enable people to experience the brand in an affordable way which they can evangelize about...even if they're unlikely to be able to afford one. In the era of the autonomous consumer, when people are in the driving seat and brands must engage with consumers' on their terms, it is more important than ever that brands do what they can to manage their reputations. Influencing context is key to shaping the understanding people acquire about brands. A product or application - especially that of a marketing partner - is a key context that must be controlled to manage the brand well. We do not live in an egalitarian society. The circumstances into which one is born - relative affluence or deprivation - vastly shape the opportunities we have access to, and ultimately to so many qualities of life. Imagine if this applied to sunshine. What if access was tied to money? That the richer a person was the more they'd enjoy? As humans there's something universally important about our relationship with sunshine. Anthropologically, it's more than our dependency on this source of heat and light in sustaining our fragile ecosystem. Our personal need for exposure to the sun is embedded deep in our psyche: it nourishes and buoys our spirit. If access to the sun was dependent on money it would have a devastating impact on one of the most fundamental qualities of life. Societies the world over would be further divided with the 'fortunates' benefiting from contact to a major influencer of happiness; sunshine is a potent environmental element that affects our psychic condition though not a cause of happiness itself (it's a far more complex, multivariate state for that). Thankfully, each day, money and advantage make no difference to the right to access the sun. Whatever part of the world, country or region one lives in everyone in that place has an opportunity to walk outside and have one's skin or mood warmed by the sun overhead. It is one of the last few frontiers of democracy. Though we follow different gods, and believe ours affords greater protection than other deities deliver, we all live under the same, single sun.